Richard Orland Dulbs, 101, formerly of Sylvania, OH, passed away Friday, September 21, 2018 at Hospice of NWO, Toledo. He was born May 3, 1917 in Belding, MI, to Orland and Rebecca (Balcom) Sayles. Richard’s mother Rebecca relocated to Cleveland, OH where she met and married Joseph Dulbs. They gave Richard his only brother named Joseph Richard Dulbs. They all moved to Miami Beach, FL. Richard received many accolades in his life including the honor of becoming an Eagle Scout at an early age, he also received his pilot's license at the age of 16. Just out of school he became a plumber and worked for his uncle, both in Florida and Michigan. He then married his high school sweetheart, Bernice Paul in 1937. He enlisted into the U.S. Army Reserves. Before he was called into active duty he became a 2nd Lt. in 1939. During WWII, he served his country in France and Germany. After retiring from the Army in 1946 as Lt. Colonel, he went on to the University of Michigan graduating in 1951 with a civil engineering degree. He landed a job with Owens Corning, working as a mechanical engineer, in Kansas City and Rhode Island. In 1964, having 25 years together Bernice passed away. In 1965, while working for Owens Corning, he married the last love of his life, Zakie Zalfa. A year later, Richard at the age of 48 and Zakie 42 gave birth to their only child and son, Ricky. In 1967 his work relocated them to Sylvania, Oh. Zakie passed in 2017, after 52 years of marriage. Richard moved back to Michigan one last time to spend the last 16 months of his life with his son Rick, daughter-in-law Donna, grandson Noah and loving K-9 companion dog, Mia. He lived every day to see and spend time with his son. He enjoyed his outings with Donna, especially his introduction to Chick-fil-a. He liked watching her cook and marveled over the work that went into the meals and pies he enjoyed. Richard worked for Owens Corning for over 35 years. He was a member of St. Joseph Catholic Church for 51 years. A member of American Legion Post 335. He and Zakie made many lifelong friends while enjoying many rounds of golf at Highland Meadows Golf Club in Sylvania, OH. 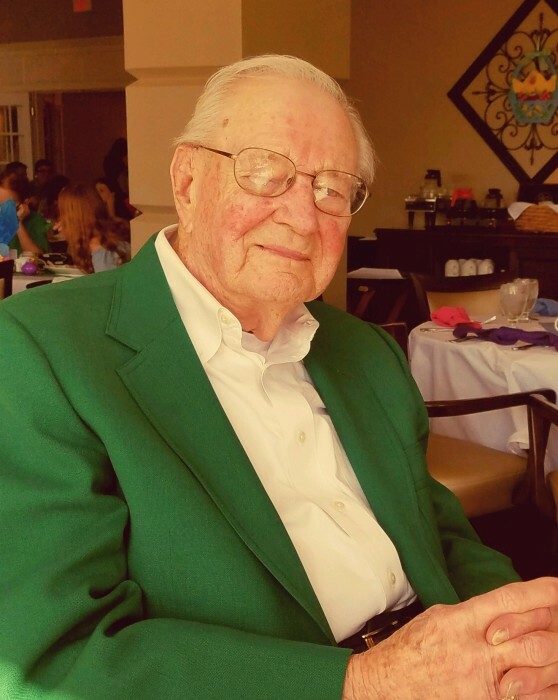 Richard was inducted as a life member and golfed until he was 100 years old. Richard should be remembered for his sweet smile and laugh. He was God honoring. He honored his vows, in sickness and in health, until death do us part two times over. He was a wonderful provider and caregiver. He encouraged the idea of education and the military. He was quick to show mercy and covered things with grace. He is survived by his loving son and daughter in law, Richard and Donna Dulbs; grandchildren, AJ and Noah Simpson. Richard was preceded in death by his parents, brother and both wives. Friends may join the family at Reeb Funeral Home, 5712 N. Main St. Sylvania, OH. Saturday September 29, 2018 for a gathering from 10 am to 12:45pm, Eulogy at 12:30pm. A Memorial Mass beginning at 1pm at St. Joseph Catholic Church, 5373 S. Main St. Sylvania, OH. Entombment to follow at Toledo Memorial Park with Military Honors. Dinner to be held honoring him at Highland Meadows. Those wishing to give in Richards memory are asked to consider donating to VFW Lambertville Post 9656, 4120 Piehl Rd., Ottawa Lake, MI 49267 or Hospice of Northwest Ohio.